We stayed in a bunk bed room which I recommend. Plenty of space to maneuver almost like a tiny home. DIDN'T like the glass bathroom door and wall. I understand the design concept, but in a space so small, having a bit more bathroom privacy would be nice. Having said that, we felt safe, comfortable and loved being in the neighborhood. The location was great, and the staff were extremely friendly. The taco place had excellent food, too. The room was tiny, but very cute. There was a little bit of water damage in the shower area, and I could never get the room cooler than 72 degrees, but the overall value, location, and food options far outweigh both of those things. I didn't even bother reporting the temperature while I was there. Great experience overall! Recommended Pod hotels to my freinds on Facebook. One thing: I got cold the 3 nights. Would've liked more covers. That's it! Great location in Murray Hill ... away from the hustle and bustle of Times Sq yet walkable to the theatres. Simple check-in and check-out. Hotel as described. A few minor renovations would be nice: 1) walls scuffed and 2) sink needs caulking. Shower curtain was spotless and no noticeable mold in the bathroom. Yay! Staff is friendly. The location is fantastic. Small but comfortable room. The restaurant downstairs is fun! Nice hotel and convenience location. Good service. This is a comfortable hotel in a nice area of Manhattan. Great location and perfect room for 2 people especially when you don’t plan to be in it. Great location, close to Metro. Very helpful and friendly staff. European still hotel. Well designed. Quiet. Comfortable bed. Nice bathroom. It is a great hotel but the room was so small and cramped. The bathroom was an arms length away from the bed. Would love if it was a bit bigger. Nice, clean inexpensive hotel in very convenient location. The rooms are very small, but that is what they are selling. Nice lobby, bar and restaurant area. It was the perfect hotel for my experience. It was in walking distance of many attractions, like Madison Square Garden and Central Park. Given that my only needs from a hotel room were to shower and sleep, this room was great and for a great price. I would absolutely reccommend it and will use it again for future NYC trips. Located in Midtown, Pod 39 is within a 5-minute walk of Chrysler Building and within 15 minutes of other popular attractions like 5th Avenue. This 366-room, 3-star hotel has a restaurant along with conveniences like free in-room WiFi and a rooftop terrace. Enjoy a leisurely bite to eat at Salvation Taco, the hotel's onsite restaurant. You can sip a beverage at the coffee shop/café. Full breakfast is offered for a fee each morning from 7 AM to 11 AM. An LCD TV comes with cable channels, and guests can stay connected with free WiFi and wired Internet. Beds sport premium bedding and the bathroom offers a rainfall showerhead, a hair dryer, and designer toiletries. Other standard amenities include free local calls, a laptop-compatible safe, and a desk. At Pod 39, guests have access to a rooftop terrace, free WiFi in public areas, and a computer station. Parking is USD 35 per day (USD 60 per day for valet parking)—but if you prefer not to drive, catch a ride in the shuttle from the airport to the hotel (available 24 hours) for USD 25.00 per person. The front desk has multilingual staff on hand 24/7 to help with concierge services, dry cleaning/laundry, and luggage storage. Additional amenities include a library, free newspapers, and a TV in a common area. Salvation Taco - Restaurant and bar specializing in international cuisine and serving breakfast, lunch, and dinner. 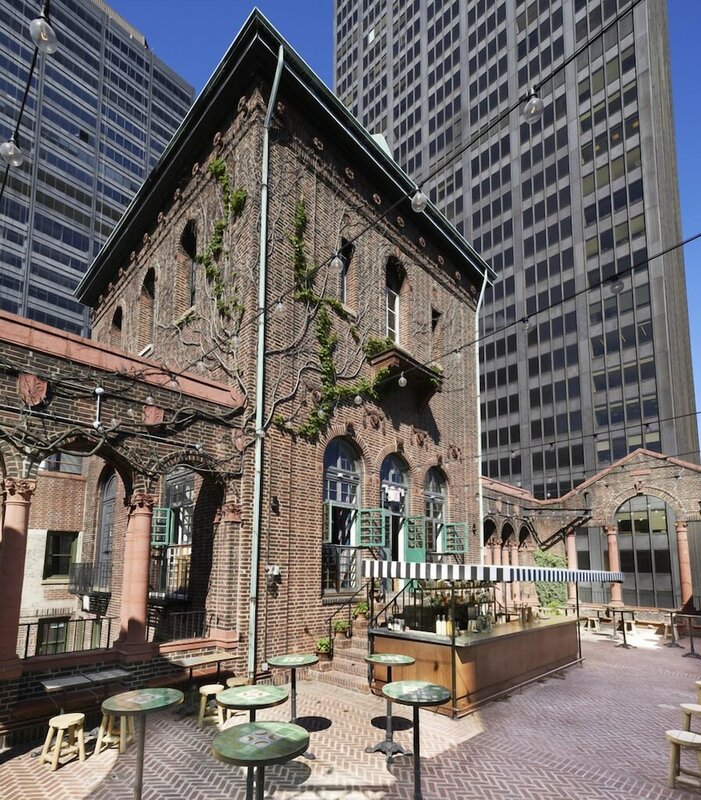 Rooftop Bar and Lounge - Rooftop bar specializing in international cuisine and serving dinner. The front desk is open 24 hours a day. For convenient arrivals, you can take advantage of the airport pick-up service (fees apply). Driving? This property offers parking (fees apply).